Have you ever thought about how necessary it is to stay up to date? Progress is everything in our constantly changing world, that’s why it is so important to go ahead and know about the latest updates of plugins and templates. Updating is a cornerstone of caring about your website’s future, it must come together with caring about its originality and content freshness. But what if you’ll apply the update that won’t fit in, or even will ruin your website’s appearance? Everybody is so careful about making updates because people are afraid to loose the existing changes and don’t want to risk. 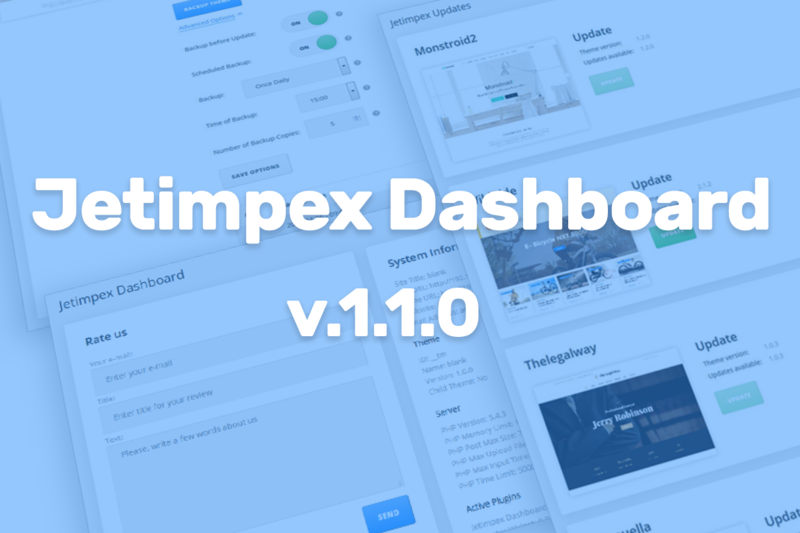 But now comes the time when you don’t need to worry about whether it is better to stay with the old versions of plugins and themes, or update them – there is no risk at all with our new Jetimpex Dashboard plugin! It can search for updates needed for your plugins or themes, install them in the blink of an eye, and check if the update version is compatible with your current settings. You might think, that that’s all, but, actually, it’s not! Jetimpex Dashboard is also a perfect solution if you need to backup your theme files and customizer settings! 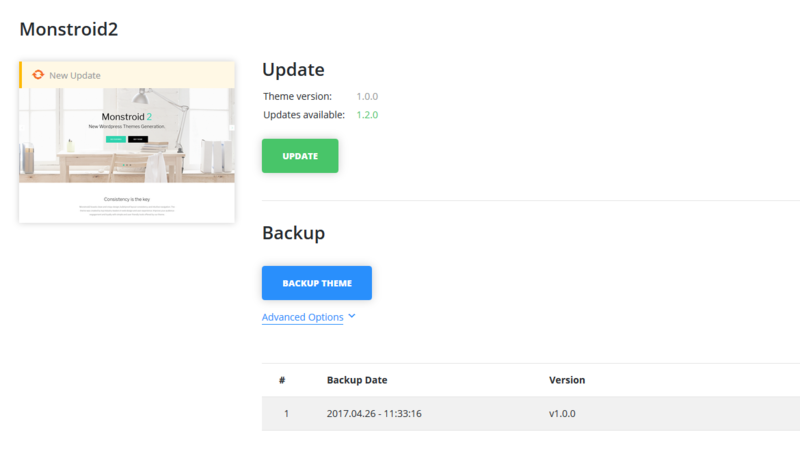 It makes automatic backups whenever any new updates are installed, so that if you won’t like the result of the made update, you can easily restore your theme files to the previous version! 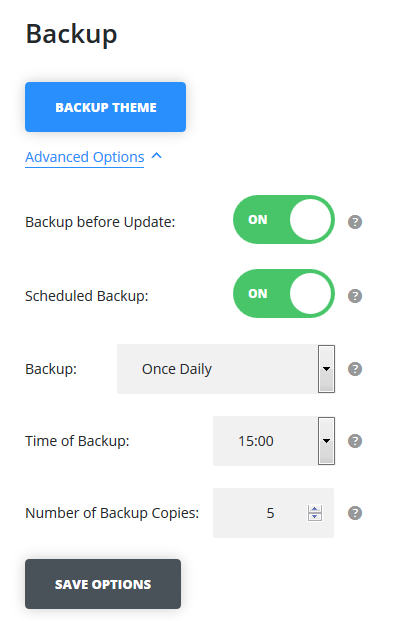 You can also make backups manually, and even schedule them, what is extremely useful if you’re constantly working on your website’s optimization and appearance. Now you don’t have to view all these annoying notices on your Admin panel that you need to update something. Just make all the necessary updates and feel safe and secure while doing them with our brand new Jetimpex Dashboard plugin! To know more about its features and options please check the documentation for these themes!